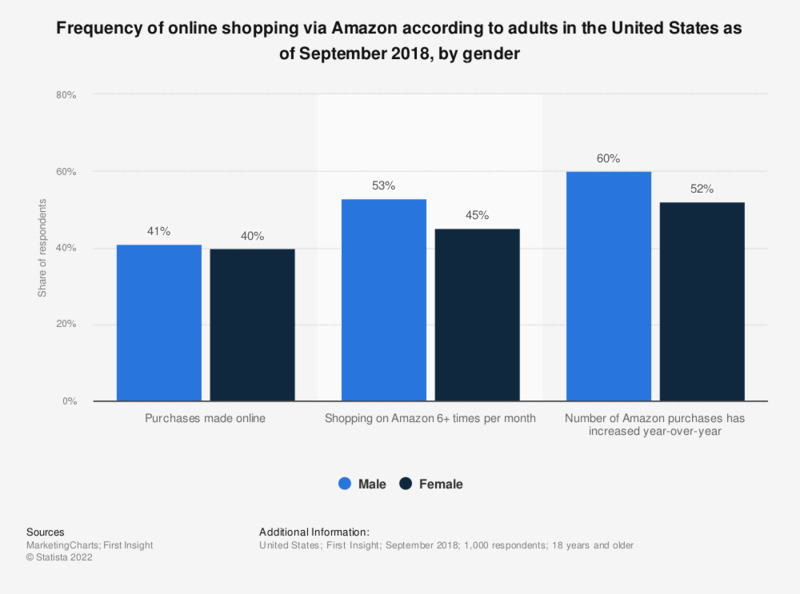 This statistic presents the frequency of online shopping via Amazon according to adults in the United States as of September 2018, by gender. According to the findings, 60 percent of male respondents reported that their number of Amazon purchases had increased annually, while additionally 53 percent of male respondents also stated that they shopped on Amazon at least six times per month. How often do you shop in-store? On average, how often do you usually shop for yourself (not including food shopping)?